As a leading supplier of low-speed electric vehicles, All Electric Vehicles in Queensland, Australia enjoys keeping their customers updated with the latest electric vehicle news from around the world. Whether its a change in government policy or a new vehicle release, you’ll find it here on our news section. Electric Vehicles come in all shapes and sizes; from utility carts, golf carts, electric shuttle vehicles, self-driving cars to mini electric trucks. There’s always something happening in the electric vehicles industry! 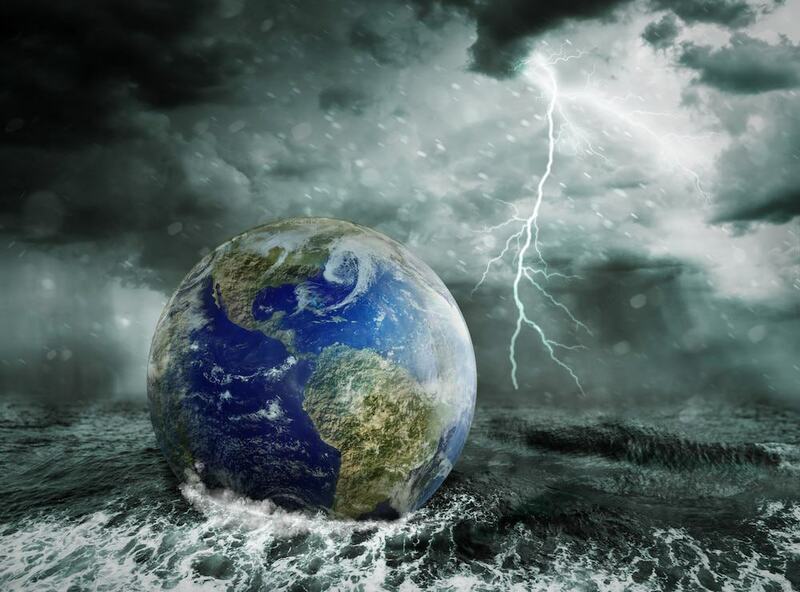 Myriad studies show that 97% of all researchers believe global warming is happening. Those same researchers all agree these alarming climate changes are most likely due to human activity. While the facts are frightening, there are steps everyone can take to help save the planet, which is why six out of 10 Australian consumers buy organic products. More companies are listening to their consumer’s demands for more eco-friendly products and services. And many budding entrepreneurs are starting their own eco-friendly business in response to that demand. There are certain traits of environmentally responsible businesses share. 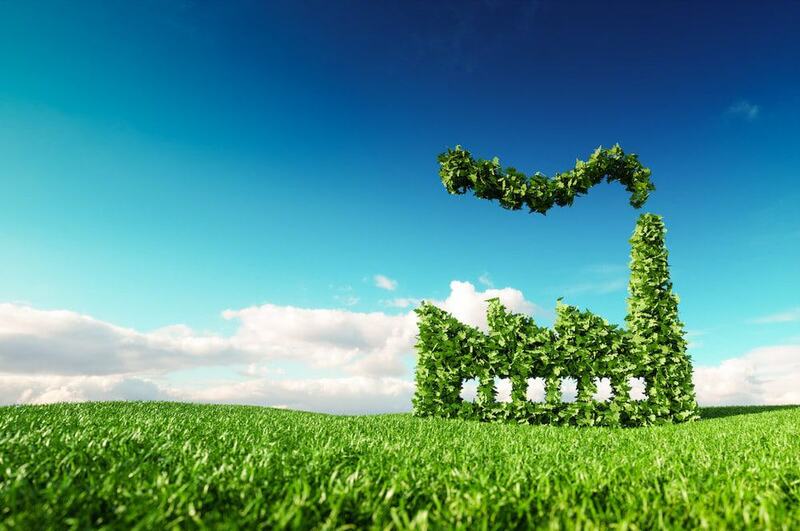 If you’re thinking of becoming more eco-friendly in your business, keep reading. We’re sharing with you ten traits of environmental business. The top 50 Australian companies give $867 million each year to charitable causes. But even if you’re not a large corporation, you can still give back to your community. Even pledging one penny for every dollar you earn can make a difference. If you don’t feel you can contribute money, you can always have you and your employees donate time. Find a charitable cause everyone in your company can get behind. Then find ways to give back. Not only will your customers love it, but aligning your business with a cause is also a good marketing strategy. An environmentally responsible company needs to focus on reducing its reliance on natural resources. If you own your building, you may want to consider putting solar panels on your roof to reduce your dependence on energy. Find ways to use less paper, so your company uses less wood. Do not purchase raw materials such as palm oil or Amazonian wood which destroys forests. You can also search for ways to reduce how much water you use. And conserve energy by turning off office lights after hours. Encourage commuters to take a bus or carpool rather than having each person drive their car to work. It will save on petrol and reduce greenhouse emissions. Invest in buying products made from recycled materials if you want to be an environmentally friendly business. Buying recycled helps reduce waste and pollution. These are any items used by businesses or consumers which are recyclable. Items generated during manufacturing that aren’t necessary to the product and are considered “waste” materials. These materials, such as paper trimmings at paper mills end up recycled. Purchasing products with the highest percentage of post-consumer or post-industrial materials help support local recycling collection programs. A recycled product consists of recycled materials. A recyclable product is a product that can be collected and recycled at the end of its useful life such as an empty soup can. While recyclable products are great, they are only beneficial if you recycle them. Get your employees as invested as you are in being environmentally responsible. Ask them to come up with ways to reuse, reduce, and recycle. The more they feel as though they’re part of the solution, the more likely everyone will quickly adapt. Fairtrade ensures that a community’s greatest needs, which are to have clean water, health care, and education. Fairtrade also means that together we all work to prohibit harmful chemicals while taking measures to protect our natural resources. Unfortunately, Australia is not within the top 10 when it comes to countries with strong environmental democracy laws. But that doesn’t mean your business can’t strive to make things better in your own country and abroad. 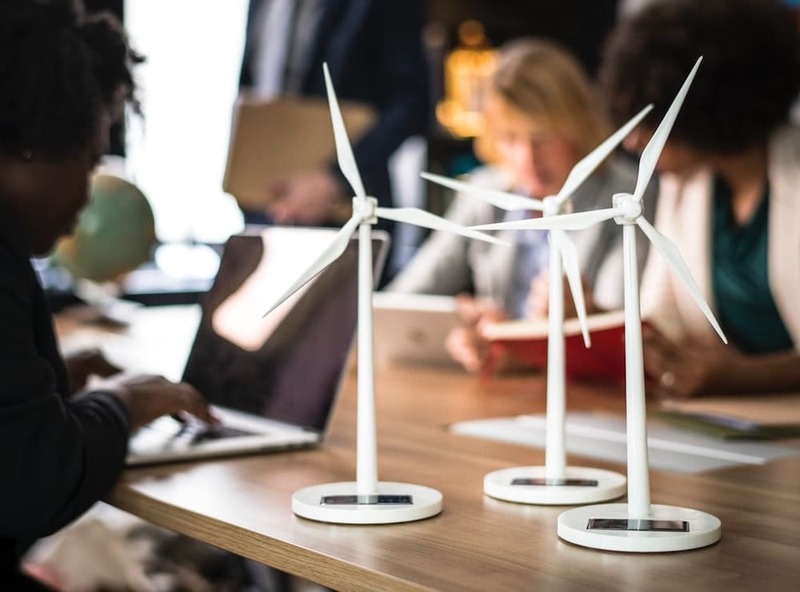 If you genuinely want to become environmentally responsible and you require goods or materials sourced or made elsewhere, it’s imperative you work with companies in countries with decent environmental laws. Do your research into a country’s policies before you begin partnering with a company. It’s worth it to understand fully what the environmental impact will be. Sustainable packaging is where you can use recycled materials such as PET (polyethene terephthalate) for your products. However, it’s not enough to use sustainable packaging. Doing so helps save energy, raw materials, and landfill space. It also reduces CO2 emissions. Consumers want to know the companies they do business with care about the planet as much as they do. Letting them know you care works well from a PR and marketing standpoint. There are more eco-friendly products on the market than ever before. And many of them are just as or more effective than their chemical-based counterparts, especially when it comes to cleaning products. When you combine vinegar with baking soda, it begins to foam. While it looks great, it isn’t harming you. However, if you combine two chemical-based products such as chlorine and ammonia, you risk a reaction that can cause serious harm to you or others. Since poisoning is the leading cause of death worldwide, it makes sense to eliminate harmful chemicals in the workplace. These chemicals are harmful and could result in your employees needing more sick days because they’re reacting to the chemicals used in your office. Most traditional cleaning products only focus on cleaning one type of object. Newer, environmentally friendly cleaning products often perform various cleaning duties. Also, these products are priced competitively with more harmful brands, so you’re not paying any extra money for better health. Those same toxic chemicals found in conventional cleaning products are also toxic, non-biodegradable, and hazardous to the environment. And many of them are made from non-renewable resources such as petroleum. As a result, they adversely affect the earth’s eco-systems. It’s worth it to have an energy audit performed in your office. That way, you’ll know exactly where you can improve conditions. Also, once you fix the areas where energy is being wasted or leaking, your employees and customers will feel more comfortable since your place of business won’t feel as drafty, etc. And, when you save on costs, you can improve upon the competitiveness of your company. One way some companies are going greener is by encouraging alternate ways to commute to work. Doing so helps reduce everyone’s carbon footprint. You can also give bonuses to employees who commute in a green fashion. You may also want to consider offering bike parking to employees who bike to work so they can park their bike safely nearby. If you genuinely want to run an eco-friendly business, it begins with you making some lifestyle changes. Leadership comes from the top so the more you accumulate eco-friendly habits into your home and work life, the more you’ll inspire your employees to do the same. And there are some easy steps everyone can take to ensure we enjoy this planet for a long time. Click here to learn ten ways you can begin fighting climate change. On Tuesday, December 11, Xcel Energy announced the company would go 100 per cent green. This announcement comes after the decision that Xcel Energy is reducing its carbon emissions 60 per cent by the year 2026 and 80 per cent by 2030. Xcel Energy is Colorado’s largest utility company and serves seven other states as well. The company’s commitment to a carbon-neutral future is a light in the darkness, coming out of the American government’s seeming indifference to the profit potential of renewable energy. Americans in the eight states served by Xcel can breathe a little easier, at least knowing that their utility company is right-minded. In this edition of Renewable Energy News, read about how the major US utility Xcel Energy plans to go 100 per cent green by the year 2050. Xcel Energy calls Minneapolis, Minnesota home. The utility holdings company has over 3 million electric and nearly 2 million gas customers in the eight states that it serves. Xcel Energy operates subsidiary utility companies in New Mexico, Texas, Colorado, South Dakota, North Dakota, Wisconsin, Minnesota, and Michigan. The announcement by Xcel Energy to deliver 100 per cent clean energy is the first declaration of its kind in the country. No other US utility has made as lofty a goal, but many have gotten onboard the renewable-energy train. The Indiana utility NIPSCO is closing down coal plants faster than expected to set up renewable energy plants. Another Midwest frontrunner, Midwest Utility MidAmerican, says that by 2020 it will deliver 100 per cent renewables energy. Utility companies across the Midwest are making the transition to renewable energy, for several reasons. To begin with, the midwest of the United States has less coal and gas resources than the coasts and the southern United States. But, the biggest reason is financial. What’s the Difference Between ‘Green’ and ‘Renewable’ Energy? Energy is a big umbrella. Underneath the central ‘Energy’ umbrella, sits conventional energy and renewable energy. Green energy is a subset of renewables and sits under the renewable energy umbrella. Green power is the best kind of energy production for the environment. It is best for reducing carbon emissions and carries a zero-carbon footprint. According to the EPA, green energy is harnessed from geothermal, solar, wind, biogas, biomass, and low-impact hydroelectric sources. Renewable power is that which comes from the energy that naturally restores itself over some time. These include the wind, water, sun, and heat from the core of the earth. Some renewable energy sources can carry an environmental impact that makes them less than 100 per cent green. For example, large hydroelectric dams and tidal energy machines affect the oceans plant and animal life. Dams change the migratory patterns of marine life and clear out the surrounding wildlife that relies on the waterways for sustenance. The difference between renewable and green energy is small. It distinguishes renewables that are zero-impact from renewables that have a slight or moderate impact. Proponents of nuclear energy make an argument for the clean and renewable nature of nuclear fission plants. Nuclear plants, however, are not carbon neutral. You must mine the earth to build the plant, store radioactive material for an extended period, and run the risk of a nuclear meltdown. You can make an argument for nuclear as a renewable but not a green energy source. Green energy includes anything that has a zero-impact on the environment. How is Power Generated Currently? Power is electricity. The power grid of the United States provides accessible power to homes and buildings, produced by electricity generators. For a generator to create electricity, the generator must spin a turbine which produces an electrical current. The electricity produced by the generators spinning of a turbine can be expended immediately, or, stored in a battery for later use. The standard method of making the generator turbine spin is steam heat. Heat is the crux that brings you back to fuel. Utilities burn fossil fuel to heat water, which creates steam and rises to spin the generator’s turbine producing electricity. Cars are one of the classic burners of fossil fuels, but electric car sales are rising. And the US government recently launched an incentive program for buying electric. None of this, however, has changed Washington’s stance on the global climate change outlook. The White House seems happy to increase coal production tenfold. The simple process of spinning the turbine with steam is a necessity that brought the world to its current dependency on fossil fuels. So, when thinking of how best to solve an energy crisis, we must look for methods of spinning the turbine that is just as effective yet environmentally, socially, and economically responsible. So far, making the generators turbine spin has put the world in a bottomless pit of problems. But Xcel Energy’s announcement on Tuesday stands as proof that the resources and technology to create zero-emission power is not only available but cheaper than ever. Why are Utilities Going Green? Coal is expensive to mine, both in time and human labour. Despite the Trump administration’s stance on bringing back coal, most American utility companies are looking for a cleaner, cheaper source of power to spin the generator turbine. In the United States, 2019 will see the lowest coal production for nearly 40 years. Utilities are shifting away from coal, oil, and natural gas in favour of renewables. A report from the Lizard Investment Bank shows that the cost of utility energy production is cheaper with renewables than coal. Even if the United States government shuns that facts, at least the utility owners can read the writing on the wall. The cost to produce energy from renewables is steadily decreasing year over year. That has led many US states to deregulate electricity programs to offer more renewable incentives. For a utility company, green power is a triple-win. A customer that gets green energy is paying a little more to make up for the infrastructural costs, but they are happy to do so to do their part for the environment. It also means that they are less likely to leave for a cheaper service since the customer has invested in their green energy. What’s in it for Xcel Energy? Xcel Energy is one of the largest utilities in the United States. The company operates in New Mexico, Colorado, Wisconsin, and Michigan-all four of which just put a Democrat in as Governor. Xcel already has been leading the industry on cutting emissions, and it sees an opportunity to get a stronghold while the getting’s good. Customers in Colorado are demanding renewable energy, and customers everywhere are demanding lower rates. Public opinion, mixed with cost savings allows Xcel to expand into new area’s and buy up little utilities. Renewables are accessible for the Western United States where oil, coal, and water are all in short supply. Politicians in these states find a stronghold base of support, contingent on the help of the state for green energy. This trend is working its way East, into Colorado, Michigan, and more. Xcel receives cheaper renewable bids than coal, and renewables are rivalling the price of natural gas. So much so, that when Colorado cities, like Denver and Breckenridge cried-out for renewables, Xcel energy made a change. Sure-if you demand an unattainable thing, you won’t get it. But, when a lot of customers unilaterally tell a company what they want, the company is inclined to listen and change. It is true: Seaworld no longer takes in killer whales. Circuses all over the United States are no longer using elephants in shows, and Armani doesn’t use real animal fur in their kids’ clothing anymore. And, when customers say to their utilities, we want renewables, the company listens. How you spend your dollar, where, and for what is the most democratically important right you have. America might not have a federal policy regarding global climate change and cutting carbon emissions, but Americans do. Xcel Energy sees a leadership opportunity where federal leadership is coming up short. It is to the advantage of the American electorate to support utilities, like Excel Energy, that commit to a zero-carbon footprint. Companies that move forward the public realisation of the immediacy of climate change and the long-term process to rectify such are true American patriots. Not to mention, the more support Xcel Energy has amongst the electorate, the more political leverage they possess in Washington. So, it makes sense that Xcel will use the increase in revenue and decreased production costs to expand the companies reach. Utility companies make their money from a rate-of-return on energy infrastructure investments. The mining of coal and natural gas offers little, to no return on their investment. Green energy, on the other hand, provides infrastructural investment return on everything. Xcel Energy is the first to make such an overarching commitment to the wellbeing of the world, but it certainly will not be the last. If you like reading renewable energy news, share this article with a friend on social media. And subscribe to the newsletter for all the most recent posts about an all-electric future. Thanks for reading! The world needs to come together in a global effort to avert the worse scenario of global warming, which would result in severe droughts, floods, extreme heat, and poverty. According to the United Nations, the world has 12 years to limit the impacts of Climate Change significantly. As one of the wealthiest countries in the world, Australia has an important role to play in fighting climate change over the next decade. The good news is that many of the tools to make climate change progress already exist. So let’s check out the ten ways Australia can start to fight against global warming in the years ahead aggressively. Over 70 per cent of the carbon emissions since the 1980s is due to the activities of one hundred fossil fuel companies. What incentive do such companies have to change course? Currently, there is absolutely no financial cost of producing carbon emissions. That’s why the Australian government, along with the other world’s major economies, needs to introduce a carbon tax. A carbon tax would provide companies with an incentive to switch to renewable energy. Although Australia previously introduced a “carbon tax” in 2011, this was subsequently killed by the incoming Abbott government in 2014, according to the Guardian. Renewable energy sources, particularly solar energy, is becoming increasingly affordable and competitive. As a result, the Prime Minister has touted pulling the current subsidies for renewable energy. If Australia is going to play an integral role in the fight against climate change, this is the wrong course of action. Therefore, more significant subsidies for renewable energy would result in a greater incentive for investments in clean energy. Currently, Australia remains one of the most coal-dependent countries in the world. Australia needs to go cold turkey on its addiction to the black stuff. According to experts, coal is not only one of the most significant contributors to climate change, but it’s also damaging to human health and the wider environment. Australia’s allies, such as Germany and the United Kingdom, have already made commitments to end coal over the next decade. By contrast, the government has continued to back coal power stations recently. Again, this continues to show that the government denies the evidence of global warming. The announcements that the government considers coal as the backbone of the energy system of Australia in the coming years suggests this is not good news for those concerned by the impacts of global warming. One of the most cost-effective ways to make climate change progress is to electrify everything. Move away from oil heater and gas stoves and make everything electric. As the overall source of energy is primarily renewable, our energy system will be cleaner. Furthermore, this also includes replacing fuel-driven cars with electric cars. Since in Australia, two-thirds of people drive to work, this could have a significant impact on the carbon emissions generated by the country as a whole. It’s a matter of more funding from the government, in the form of incentives. Plus, penalties for those unprepared to switch to electricity. That’s because approximately half of the people in Australia are prepared to switch to e-vehicles. However, according to a survey, they are concerned about price and infrastructure. If the so-called inevitable rise of electric vehicles is going to occur, the government has to encourage people to move to low-carbon vehicles. Even though many of the tools for fighting climate change are available to us, there are probably many more uninvented technological solutions. That’s why it’s important that the Australian government starts to increase the amount of money spent on research and development in the struggle against global warming. According to experts, even the money currently spent is often not effectively commercialised. The federal government has set aside $10 billion annual spendings for innovations in climate change solutions. However, it is yet to be seen whether this money will be used. Australia continues to lag behind other developed countries in reducing the transport which runs on fossil fuels. Nearly 20 per cent of the carbon emissions in Australia is generated by transportation. Furthermore, as a large and sparse country, many Australians travel on domestic flights. However, Australia needs to show the way by switching from a transport system fueled by fossil fuels to one driven by low-carbon and electric vehicles. According to reports, Australia is currently in a “full-blown land-clearing crisis“. By the year 2030, over 3 million hectares in the East of Australia will face deforestation. Forests play a significant role in fighting climate change. They serve as a “carbon sink” by keeping carbon in the ground and out of the atmosphere. However, around the world, as well as in Australia, trees continue to be bulldozed to make way for agricultural land, and other damaging property uses. Destroying forests causes more significant forest fires, extreme droughts and contributes even more global warming. Australia has an important responsibility in maintaining the biodiversity on the planet. Nearly 8 per cent of plant and animal life in the world exists in Australia. Additionally, 85 per cent of animal and plant life in Australia is unique to here. The Australian government needs to introduce a “zero deforestation” policy which bans the cutting down of trees to successfully fight climate change. According to the United Nations, the reduction of the consumption of meat and dairy products is essential to fighting climate change. According to the United Nations, animal agriculture accounts for nearly 40 per cent of global land use while this represents 20 per cent of the global emissions. Australia is one of the biggest consumers of meat in the world. We eat over three times the global average of meat consumption. Over the past decades, Australians have increasingly moved away from eating beef towards the eating of chickens. At the same time, Australia is the third-fastest growing vegan market in the world. The Australian government needs to encourage people to reduce the amount of meat and dairy products they consume; achievable through a “meat tax”. However, it seems more likely that the government could merely inform people about the benefits of a plant-based diet. But at the end of the day, this is also up to people who care about what’s happening to the planet. Most of the solutions to fighting climate change are reflected by the need to adapt or mitigate climate change. However, an increasing number of people are placing their faith in the removal of carbon emissions from the atmosphere. The technology is known as CDR (carbon dioxide removal) or CCS (carbon capture and storage). It’s only in the early stages, so it requires a lot more investment and research. Although until recently the Australian government was investing $460 million in research and development with CCS, this has since been heavily cut. These cuts are another sign that the government is unwilling to do what it takes to tackle climate change. Currently, Australians throw away up to $8 billion worth of food annually. That’s an incredible 20 per cent of food purchased in the supermarket. Many of the problems of global warming are related to the production and consumption of food. However, if we’re throwing so much of it away, something has to change at both ends of the supply chain. However, the Australian government is showing signs that they’re waking up to the damage of food waste. In 2018, Australia became the first country in the world to announce a commitment to reduce food waste by half by 2030. This commitment has been combined with $1.2 million investment to support charities and organisations which campaign to reduce food waste. Hopefully, this results in the kind of changes that the government wants to see in the next few years. Climate change is the biggest threat humanity has ever faced. As one of the most powerful and wealthy countries in the world, the Australian government has to fight climate change at every stage. Now it’s your turn to decide what you need to do to contribute to fighting climate change. There are many things you can do to assist in reducing your carbon footprint. Have you considered replacing your polluting vehicle with a low-carbon, electric vehicle? Check out our electric vehicles web page today to see what we have available. The mobility-scooter industry has been booming for the past 20 years, and sales are only continuing to grow. Trade shows specifically for mobility scooters are now taking place in the U.S., U.K. and Australia. In the past, people driving these vehicles may be ridiculed and scrutinised, but today, the stigmas have all but dissolved, and traffic in public has dramatically increased. However, as scooter traffic increases so has the number of reported accidents in cities around the world. Millions of people with disabilities have had their lives improved by the availability of mobility vehicles, which has increased to the level where choosing one is nearly as complicated as choosing a car. Some disabled individuals own two, three or even four different models for specific situations. Of course, the largest segment of the population to take advantage of these four-wheeled scooters is the elderly. 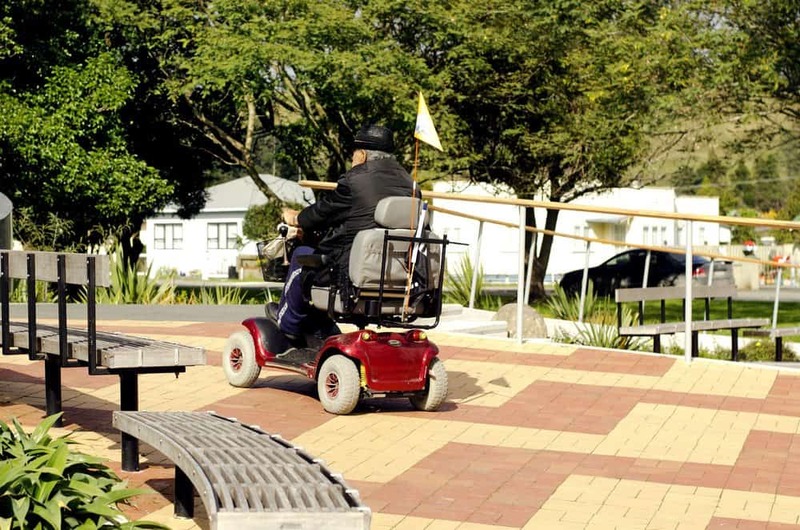 After seniors are people with disabilities, but also on the list are healthy adults. Adults without health problems are increasing scooter traffic because these vehicles are involved in several grey areas of the law, but government agencies are trying to eliminate these grey areas in the name of safety. In the U.K., the government is being pushed to make mobility scooters illegal for anyone without disabilities, and some organisations want their registration to be mandatory within the state just like cars and motorcycles. Doctors in Australia have recently become alarmed at the growing rate of mobility scooter use in the country and the number of accidents that have caused fatalities and serious injuries. Some doctors, citing incidents that involve motorised wheelchairs colliding with pedestrians, automobiles, and other objects, have called for new regulations that make helmets and other safety equipment mandatory. Current estimates show that about 230,000 medical scooters are now on the road, and with a maximum speed of 10 km/h, the risk of accidents and injuries they are causing is growing out of control. Dr Edward Gibson of Lyell McEwin Hospital in Adelaide took it upon himself to research exactly how many accidents are caused by motorised wheelchairs. Because Dr Gibson is a surgical registrar for the hospital, he has access to the data from its emergency department. He found that between July 2010 and November 2015, 81 patients sustained injuries from scooters. The age of patients ranged from six to 90, and the average was 68 years of age. Although 85 per cent of the injured patients were driving scooters, the other 15 per cent were pedestrians, and 12 per cent of the accidents occurred when a mobility scooter collided with a car. Dr Gibson found that the most common injuries from scooter accidents were head trauma and fractures. About one-third of the injured patients in the study sustained head injuries, and nearly as many had broken at least one bone, usually in the hands or arms. Two-thirds of those seeking treatment in the emergency department are admitted to the hospital for further observation and treatment. Scooters involved in collisions did not solely cause injuries. Some of the drivers were injured a result of the vehicles tipping on their sides, falling off steep pathways and losing control following heart irregularities. In 2010, the Australian Competition and Consumer Commission completed a study that showed as a result of mobility-scooter accidents between 2000 and 2010, 442 people were hospitalised, and 62 people died. Since that time, some states have adopted new laws to address the matter, but so far, Queensland is the only state to require scooters to be registered. Most other states only require a person in a mobility scooter to follow the same rules of the road to which pedestrians are subject. Also, the safety features incorporated into scooters by the manufacturers are entirely voluntary even though these vehicles can achieve speeds that create a safety risk for drivers and pedestrians. • The use of mobility scooters on roads is not desirable and should be discouraged except when necessary. • Registration of scooters could provide a means for gathering accurate data on their use and safety. • Scooter operators could be tested for skills and required to carry a driver’s license. • Scooter operators could be required to carry third-party insurance covering property damage and injuries. Author Geoff BrandPosted on November 22, 2016 April 19, 2019 Categories GeneralLeave a comment on Are Mobility Scooters Safe?